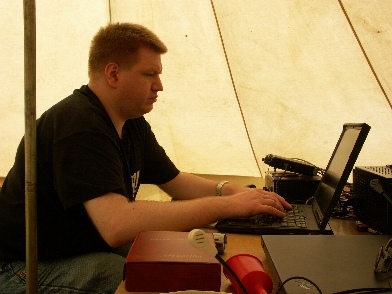 If OZ1RDP during the whitsun-weekend is "On-Air", normaly several amateurradio-stations are operating at the same time. At the microphones You can find radio-scouts from all parts of Germany, Denmark and Austria. 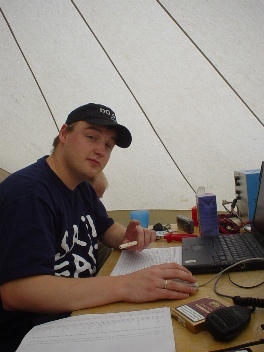 Member of the Bremen "Funkergilde"
He likes to make experiences with new types of wire-antennas, transmits preferably on 10m, 15m, 20m, 160m and WARC-bands. Normaly he takes up the building and running Packet-Radio and PC-networks. Sometimes heard on 2m. He gives "Maak" the right informations, that the PC-network will run. Sends out SSTV-pictures on 2m and runs Packet-Radio. Now allowed to transmit on 17m. He has a busy job home - therefore rarely on Roemoe. He is the telefon-communication-profession of the group. 2m-radio-contacts are interest for him with an odx (distance) for more than 500km. Makes Italian, Spainish ... etc. 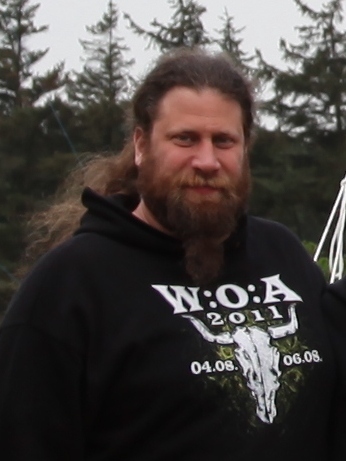 radiostations happy with his good signal on 6m (6-element-Yagi). He prefers the 80m-band. 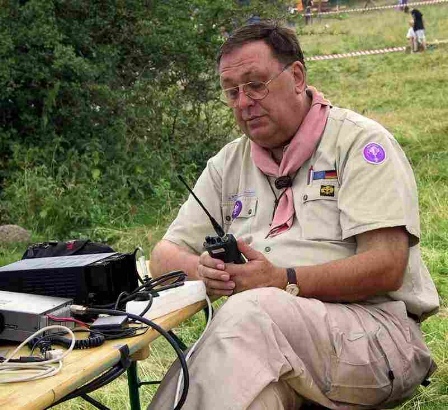 On 20m he activates also SSTV together with Martin, DG8UAU. Takes a lot of campside-sessions with his camcorder and changes them into pictures for SSTV. 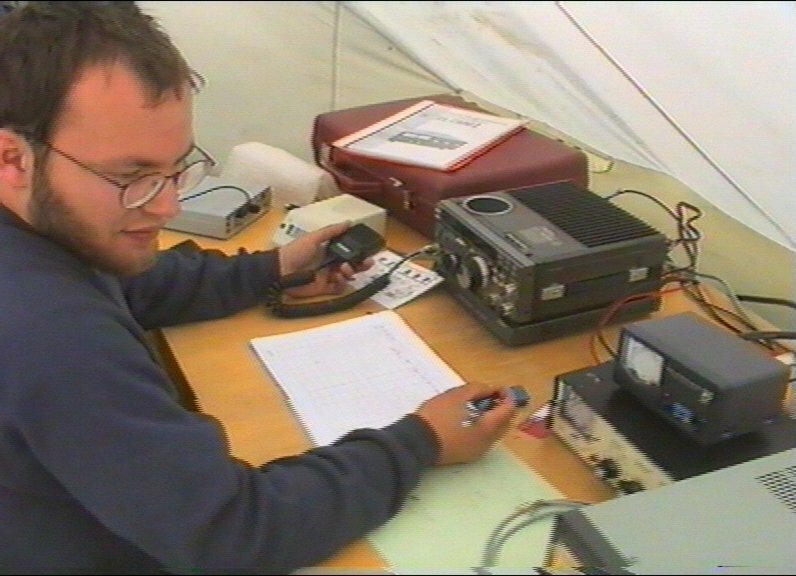 Assists "Weckle" during SSTV on 20m. The first CW-thoroughbred-professional at a key. Possible that he suddenly appears on one hf-band. Attention! Unexpectedly he was just in a pile-up on the 2m-band. His Callsign is very popular, because You don't hear him often "on Air". Uses an "Bavarian Ambassy" as a mobil bureau and bed (motorcaravan). 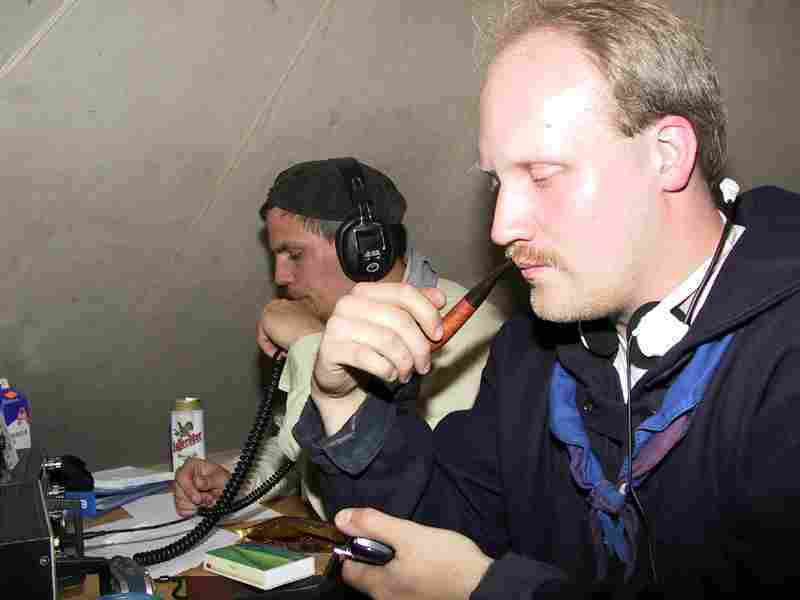 Applied for a temporary Danish amateurradio-licence. Received it within 14 days. Had a lot of fun by transmitting on 2m ssb with 50W (!) HF. Will come again next year. Only shown together with his Laptop , to go hunting DXCCs with "PSK31" on different bands. 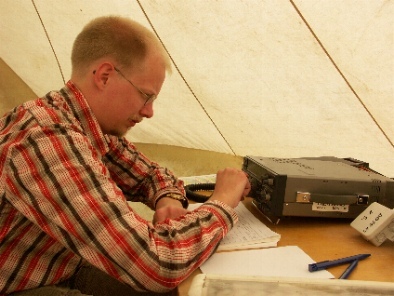 In the night he looks successfuly after rare DX-stations on the 40m-band. 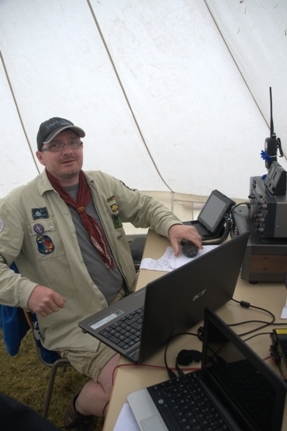 First YL-Scout-operateur on OZ1RDP. 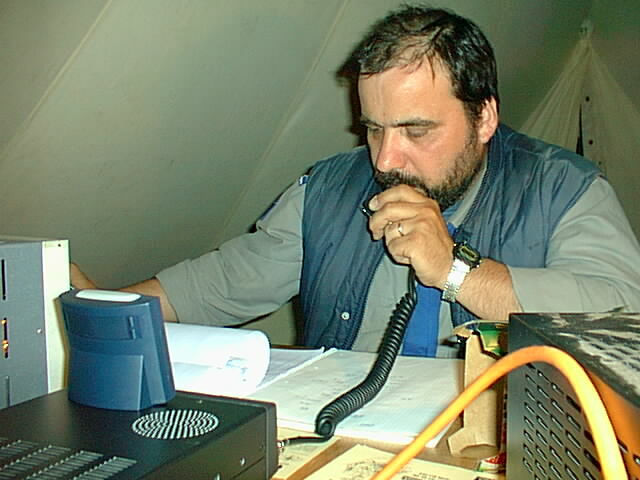 Transmits on the 40m-hf-radiostation, too. Discovered himself the 17m-band and worked successfully in SSB and BPSK31. Don't take pleasure for SSB, but was enthusiastic about RTTY. 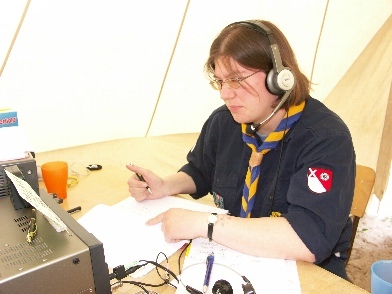 Member of the "Grevenbroicher Scout-Net"
Has specialize in digital modes and stimulate the bands in BPSK31. Took care of good connections into WWW(world-wide-web). Complemented "Tobi II" and "Dirk" in BPSK31. 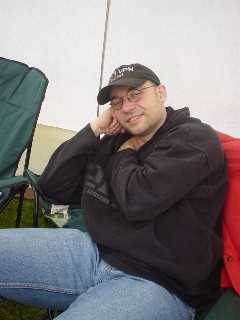 Is fascinated by the technical possibilities with OZ1RDP and likes to sit at the 15m-station. Works often on the 80m band in SSB and digital modes. ... and the many scout-SWL's, who gave us support.